Powered by Playtech, complete with a brand spanking new private tables. If they ditched their popups, they'd be a favourite. Ladbrokes Plc is a British gambling institution with a history dating back to the early 1900s. It was floated on the London Stock Exchange in 1967 and has grown since then to one of the largest gaming companies in the world with 14,000 employees and £12 billion in bets accepted in 2006. After a much publicised switch from Evolution Gaming at the start of 2014, their live casino is now powered by Playtech. Ladbrokes’ move to Playtech was always going to be under the spotlight so they had to go big. They did. 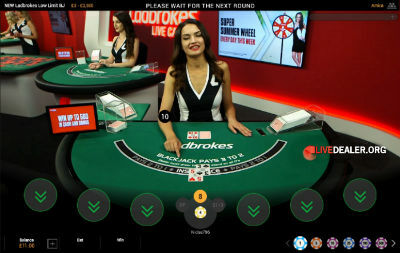 In addition to tables in the ‘all access’ area of the Playtech studio, Ladbrokes have a private, branded area containing tables only available to Ladbrokes’ players. 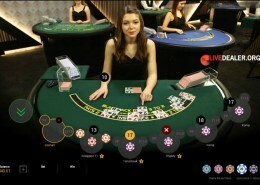 Live dealer baccarat dealt from an 8 deck shoe. 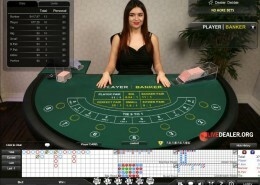 Play the standard table layout (pictured) or the mini baccarat table layout. Unlimited blackjack is a ‘one to many’ version of the game, allowing an unlimited number of players to participate in a single deal. 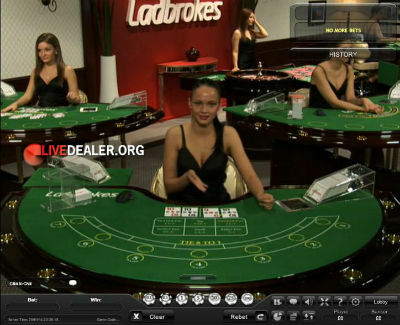 Choose tables from general floor area or play the Ladbrokes private table (pictured). Standard bets and payouts apply. Bet racetrack provided for neighbours bets. beat the dealer’s qualifying hand for a payout. Accessible via Ladbrokes’ mobile website are their live games developed for iOS devices. 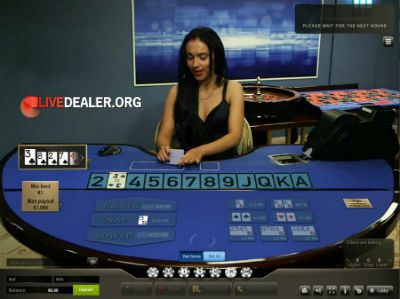 Playtech’s dealers do set a high benchmark! United States friendly live casinos?